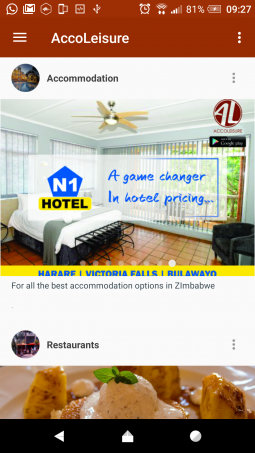 Home » Gadgets & Apps » Hardware & Software » Accoleisure App Is One Of The Best Tour Guides To The Best Spots And Events In Zim? If you are interested in tourism, one of the major necessities is always having a good guide that can direct you to the best places to stay, exciting activities or events is vital. Even if you are not into tourism, having such a guide is invaluable as you can discover various events or places that will interest you. 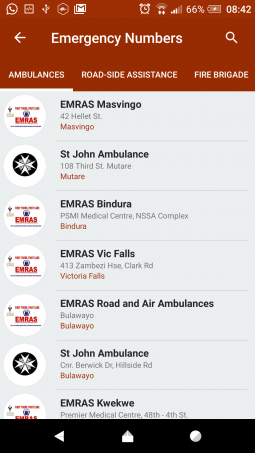 The Accoleisure app puts all these things into one package and because of this, it is one of the best -if not the best guide- if you are interested in knowing what’s happening on the ground in Zim. 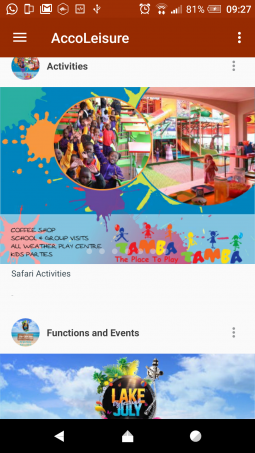 Accoleisure (which is short for Accommodation and Leisure) is an application that provides full contact details of tourism operators or service providers to both local and foreign tourists. The application also lists events, sports fixtures, restaurants and accommodation. The application has a lot of stuff to look out for and it can be a bit overwhelming at first but after going through it, I think it offers more than its competitor -the RTG App- and is something I would recommend to a number of people. The events in Accoleisure are more feature-packed than competitor RTG App by a mile. 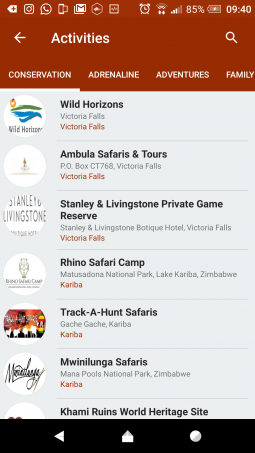 There is an activities section with a variety of sub-menus to do such as game drives, hideouts, adventures, adrenaline and conservation. Under these menus, there are contacts to the companies that provide these services and brief descriptions of what they offer. There is also a section with ‘functions and events’ which houses ‘film premieres’, ‘ougoing and parties,’ and ‘shows.’ So if you are into the nightlife this is your section. It has a music section and this is ordered by genres. The reason why the events section of Accoleisure has more events is that in the RTG app you proceed to make bookings in the app whilst in Accoleisure you are just notified about the events so Accoleisure isn’t as integrated. Depending on what matters to you both offer something different. You have the ability to hide sections that you don’t want to see which means if you only want to see the music section, you can hide all other sections in the application. There’s also a sports section and because of all these different things offered this application will be relevant to a number of different people for different reasons. These are not the most exciting services but if ever you’re in a situation that requires you to have these numbers you’ll be thankful you installed Accoleisure. The application also has an offline mode. Once you download Accoleisure it stores its data on your phone/tablet and you don’t necessarily need to worry about data charges. 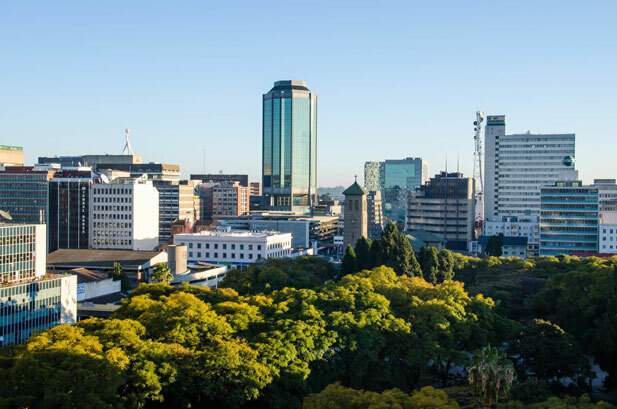 This is cool and is a deliberate effort to make sure that in our Zimbabwe – where data isn’t exactly cheap- people can use the application regardless of their situation. This is one of the best applications in this space right now. Is it because there aren’t many players in that space right now? Does it matter? That’s up to you. Accoleisure is a cool app and I think even if you are not a tourist there is something for everyone here. You can download the android version of the Acoleisure here. It’s good to see some focus on local apps. You guys should do an app of the week review or something similar to bring exposure to home grown apps. Good Work! Surely guys, the app uses the default Android robot icon. Put more effort! 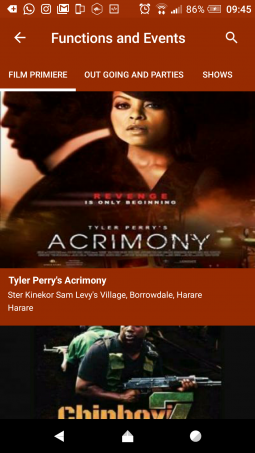 And, what is with Zim apps requiring the users locations? The RTG app is guilty of this too. Every screen you open requests to access your location. If you don’t grant the permission, the app is basically useless. Then when you do grant the permission, the information you see is not filtered or priotised by your location. WTF?